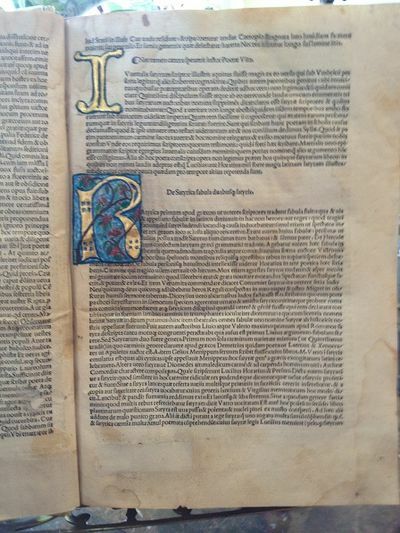 Incunabula (incunable or incunabulum) refers to a book printed before 1501 - a pamphlet, a book or document that was not handwritten, but produced with movable type before the start of the 16th century in Europe. Two types of incunabula in printing are the typographic book, made with individual pieces of cast metal movable type on a printing press. The other type is the "Block Book" or book created with woodcuts designs created on a single block of carved wood that was pressed on each page, also known as xylographic.